Are you in need of a quality window cleaning or gutter cleaning service in the Montgomeryville area? If so, you’ve come to the right place. 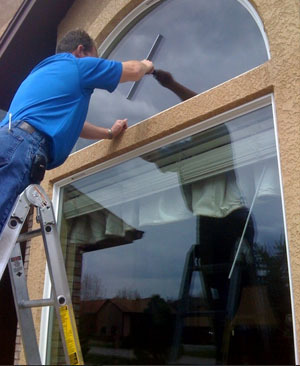 At New Hope Window Cleaning Service, we service all of Bucks County and Montgomery County. We are proud to have serviced more than 200 customers in Montgomeryville in the past 5 years! Give us a call for immediate service at 215-794-5300. Based on this commitment to make a difference, Otto has assembled an extensive, loyal base of customers throughout Montgomeryville and the entire Delaware Valley. Many of his customers have been with him from the beginning and today still rave about the consistent high level of service. Some of the accolades have the following points in common: punctual, neat, friendly personality and top-notch service. If the gutters of your Montgomeryville home are clogged, the efficiency of the entire system is reduced to a large degree. The results can be adverse, as you find water in rains flowing over the front of the system or even behind the gutter. Sometimes, the damage can be to the extent that water can flow back into your home and even damage your foundation.